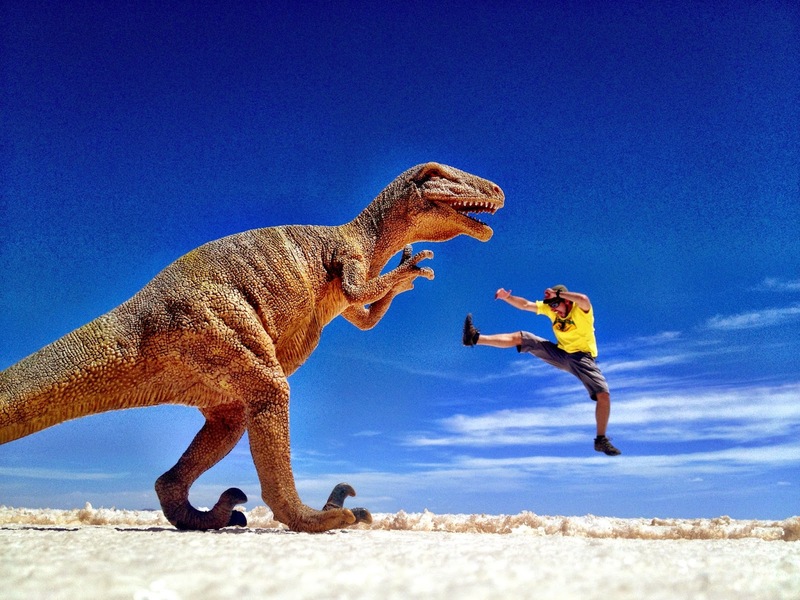 Salar de Uyuni is a mystifying salt flat in Altiplano region of Bolivia. 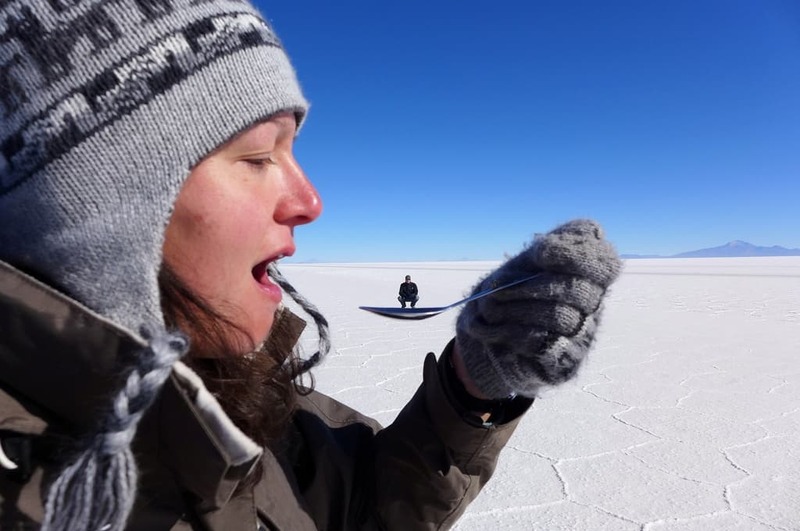 Located 11,995 ft above sea level, Salar de Uyuni is the largest salt flat and one of the most unique places in the world. 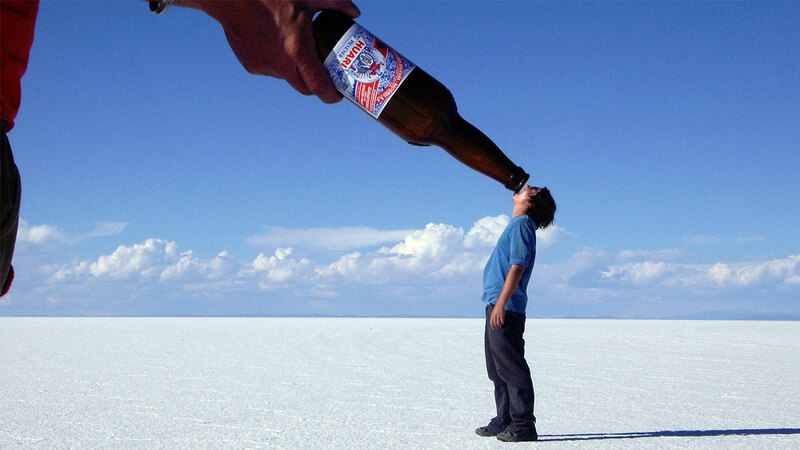 Salar de Uyuni was created when a prehistoric lake dried up and left a salty crust behind. When it rains the salt flats become a giant mirror. It is the perfect place to create optical illusions. 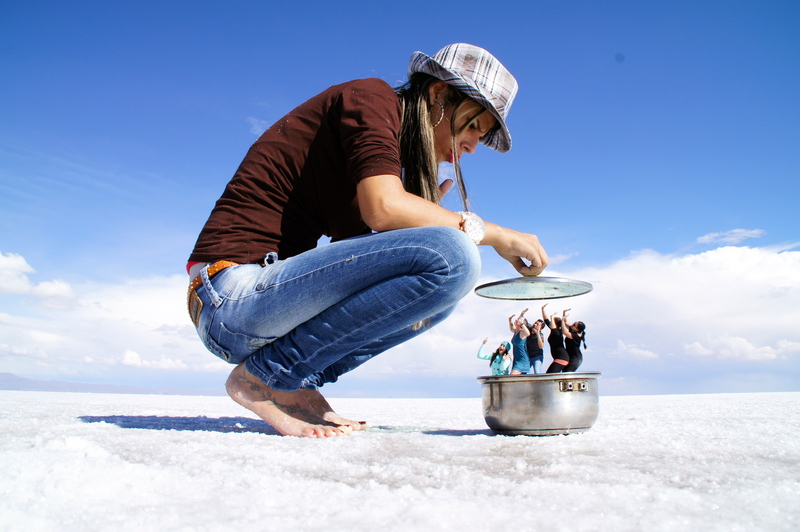 In recent history Salar de Uyuni has become more popular with travelers who are eager to showcase their creative and silly photography skills. 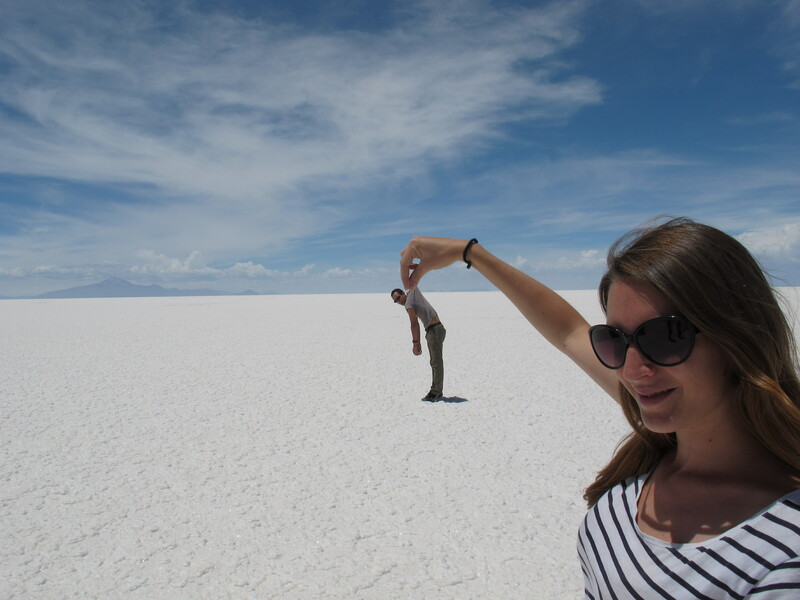 Here are our favorite Salar de Uyuni optical illusions.